MADISON, N.J. (June 27, 2018) – Coldwell Banker Real Estate LLC today unveiled its annual list of top affiliated real estate professionals under the age of 30 who have achieved success in sales, philanthropy and leadership. The Coldwell Banker® 30 Under 30 were chosen from the brand’s network of over 92,000 independent real estate professionals affiliated with approximately 3,000 offices in 47 countries and territories. This group of real estate professionals follows in the footsteps of founders, Colbert Coldwell and Arthur Banker, who started their company at 24 and 28 years old, respectively. Irina Grinevich, Coldwell Banker Brokers of the Valley, Saint Helena, California: This 29-year-old has worked as an architect, a construction manager and an interior designer, but she always yearned to work in an area of the industry that would allow for more face-to-face interactions with clients. Irina’s unique career path has been an immense asset as an agent, allowing her to share perspective from each of these areas of expertise. Being born and raised in Belarus, Irina’s proficiency in Russian coupled with her European heritage has enabled her to establish a bond with foreign clients. As a mother working in the real estate industry, Irina strives to educate her two children on the leadership and work ethic that she practices in her professional life. Irina is passionate about ending human trafficking, and has worked alongside local organizations such as Courage Worldwide to further this goal. In the future she hopes to use her real estate involvement to build safe houses, aiding in victims’ recovery. Michael Guidry, Coldwell Banker Ingle Safari Realty, Lake Charles, Louisiana: This 28-year-old was inspired to become an agent by his grandfather, who taught him many invaluable lessons about the real estate business. Michael puts an emphasis on serving the individualized needs of his clients. He’s worked with a contractor to produce homes that are tailored to the needs of consumers living in Southwest Louisiana—focusing on features that many larger contractors ignore. 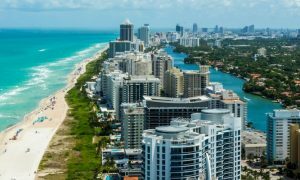 Michael considers it his duty to utilize his clients’ assets to their utmost advantage, and he has built a strong network of contractors, vendors and lenders in order to achieve this goal. Michael additionally takes pride in giving back to his community—he has sponsored a local high school’s baseball team, and hopes to sponsor various scholarships and academic clubs in the future. Avery Guzman, Coldwell Banker Residential Brokerage, Atlanta, Georgia: This 28-year-old was drawn to the real estate business out of a desire to help others find joy and happiness in the homes of their dreams. In 2015, Avery took the plunge and left his sales job, enrolling in a real estate course and pursuing a career at Coldwell Banker. Avery has achieved success by harnessing the power of the internet, utilizing his website and social media channels to put his positive personality on display for potential clients. Avery strives to serve as an example in his community, demonstrating the success that comes from perseverance and having a genuine passion for one’s work. Zev Kershman, Coldwell Banker Sarazen Realty, Ottawa, Ontario: This 28-year-old has been passionate about real estate from a young age, and obtained his license while still in college. As Zev began to work in the industry, he observed the stress that moving puts on clients, and made it his mission to make the transition as seamless and comfortable as possible. Zev has demonstrated that success comes from investing the extra effort to establish a bond with clients—he’s built lasting relationships by focusing on personal interactions, frequently giving clients friendly calls on their birthday, or simply to see how they’re doing. Technology has also been a key contributor to Zev’s achievements—he’s built more than 30 websites for individual condo buildings in Ottawa that provide clients and consumers with pertinent research and education, and help him with lead generation. Zev is the co-chair of the Emerging Generations of the Jewish Federation of Ottawa, where he focuses on building engagement with individuals under 40 in his community and mentoring other young professionals as they seek to start their careers. Austin Solomon, Coldwell Banker Action Realty, Schofield, Wisconsin: This 21-year-old has been an entrepreneur since his sophomore year of high school, when he started a lawn care business that soon grew to serve 25 clients on a weekly basis. Austin has continued to find success in the real estate industry, racking up an impressive array of accolades. In his first year in the business at 18 years old, Austin was named Rookie of the Year by Coldwell Banker Action. Following that in his second year, Austin was named Salesperson of the Year by Coldwell Banker Action, having completed $16.6 million in volume. This is Austin’s second consecutive year on the Coldwell Banker 30 Under 30 list. Austin leverages the benefits of his youth, using his knowledge of technology to streamline the buying process for his clients. Austin is committed to helping new agents overcome the challenges they face when entering the industry. He additionally enjoys mentoring high school students, with whom he shares his marketing and business insights and experience. 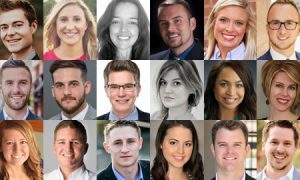 The full Coldwell Banker® 30 Under 30 list in alphabetical order follows below. 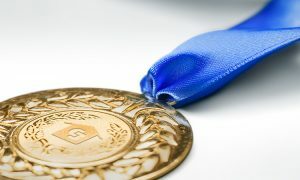 The Coldwell Banker organization will honor these winners at its international Generation Blue Experience in Las Vegas, Nevada in March 2019. Powered by its network of over 92,000 affiliated sales professionals in 3,000 offices across 47 countries and territories, the Coldwell Banker® organization is a leading provider of full-service residential and commercial real estate brokerage services. The Coldwell Banker brand prides itself on its history of expertise, honesty and an empowering culture of excellence since its beginnings in 1906. Coldwell Banker is committed to providing its network of sales professionals with the tools and insights needed to excel in today’s marketplace and is known for its bold leadership and dedication to driving the industry forward with big data, smart home expertise and virtual reality. Coldwell Banker was the first real estate brand to harness the power of big data; the CBx Technology Suite uses predictive analytics and machine learning to analyze markets, target buyers and sellers and provide agents with a simple platform to create unique and effective marketing plans for each listing. Blue is bold and the integrity and values of Coldwell Banker give the Gen Blue network an unbeatable edge. If you are an agent looking to join Coldwell Banker and unlock the possibilities of Gen Blue, please visit www.coldwellbanker.com/join.